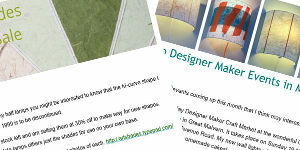 I’m featured in Illuminate by Hannah Nunn! 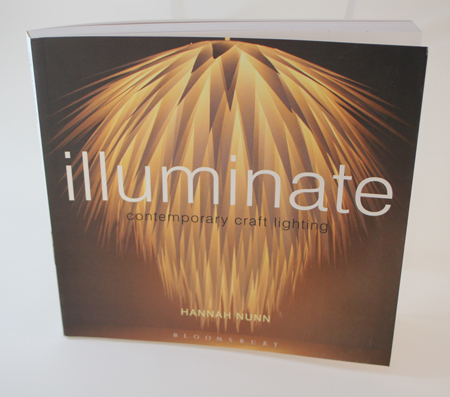 This week I received my copy of Illuminate – a brand new book reviewing contemporary craft lighting by the talented designer maker Hannah Nunn. It is a beautiful book featuring many makers’ work I already know and others I am very keen to read about. 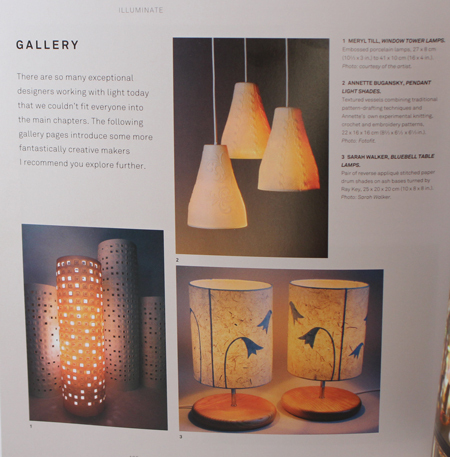 I am particularly excited by the fact that my work is included in the gallery section, a pair of my bluebell table lamps. The soft cover book has 144 pages, 175 colour photos and is split into eight sections, each chapter introducing makers working in a particular medium, 47 in total. The gallery section at the back includes another 37. 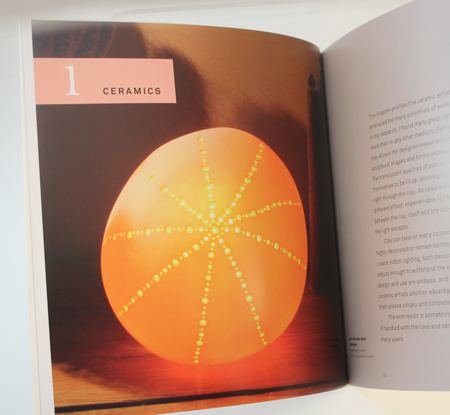 Chapter 1 is Ceramics and includes UK makers Amy Cooper, Liz Emtage, Holly Ross and Scabetti. 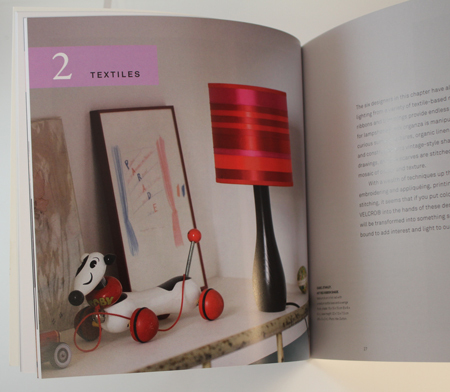 Chapter 2 includes six makers working with Textiles, with the UK’s Isabel Stanley and Maxine Suttton. 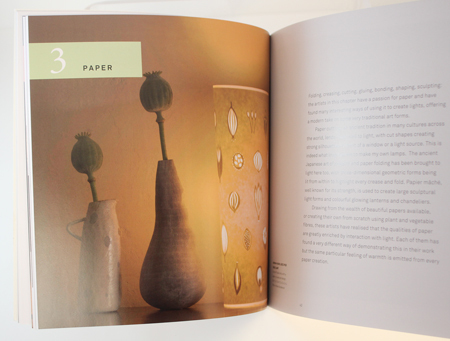 Chapter 3 is Paper and features Hannah Nunn herself and Louise Traill, along with three others. 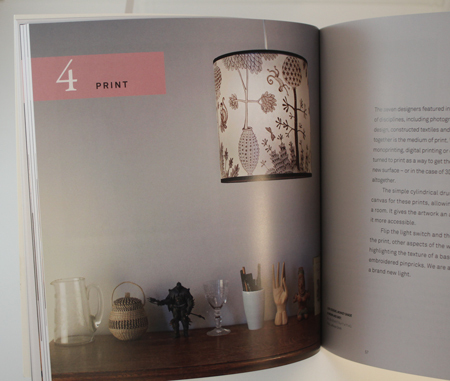 Chapter 4 introduces us to seven of those working in the medium of print, including Lush Designs, Helen Minns, House of Chintz, Helen Rawlinson, Laura Slater and Daniel O’Riordan. 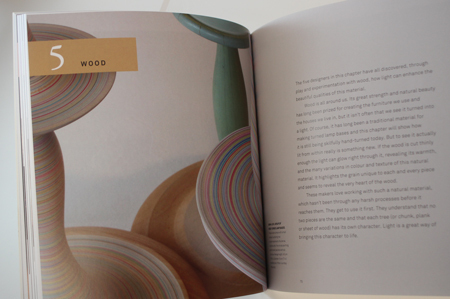 Section 5 is devoted to Wood and includes work by Jane Blease and Tom Raffield, plus turned bases by Sarah Lock. 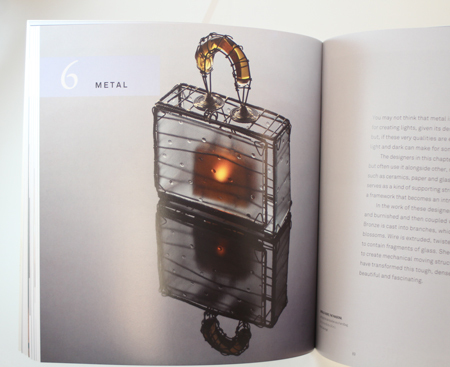 Section 6 introduces us to artists working in metal as their primary material, including UK’s Chris Cain, Colin Chetwood and Emerald Faerie. 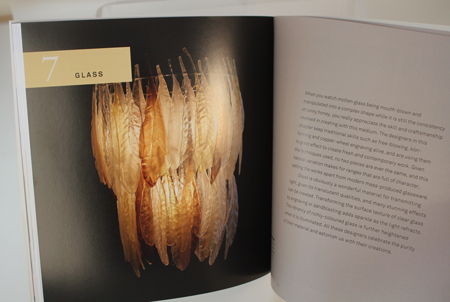 Chapter 7 is Glass and has beautiful creations by Aline Johnson, Rochschild and Bickers, Curiousa and Curiousa, Heather Gillespie and Penelope Batley – all UK makers. 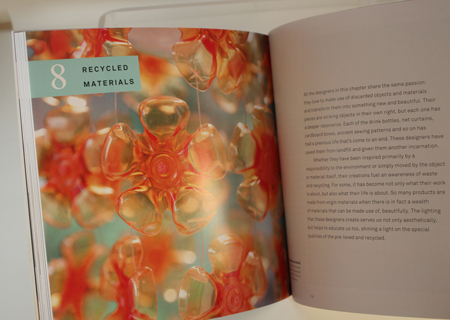 The last chapter is those working with recycled materials, with Lucentia, Michelle Brand and Sarah Turner. It is fabulous to see all of us working with light brought together in one place and I am very proud to be part of this. Hannah Nunn is well-known for her paper-cut lamps and her lighting and craft shop Radiance in Hebden Bridge, which showcases the work of many makers. She has done a great job!